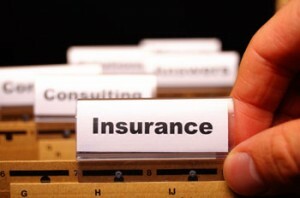 Insuring Income specializes in providing personalized disability insurance quotes. We look forward to helping you with this. We shoot for a turn-around time on quotes that is approximately 48-72 hours after receiving your request. If you need the quotes in a hurry, please let us know in the comments section of the quote request form. The quotes that you will receive vary depending on your occupation, state of residence, income level, etc. Carriers include Guardian, Principal, Standard Insurance, Ameritas, Mass Mutual, Assurity, Ohio National, Illinois Mutual, Mutual of Omaha, Lloyd’s of London, and others. We always try to communicate through text. It enables us to get things answered quickly so that we can include discounts and other important things. Please feel comfortable giving your phone. We just want to produce the best possible quotes for you. Income is used to calculate the benefit. For medical residents, fellows, and students, income is not as critical. Do you know what the monthly max benefit is for your group coverage? Please enter dollar amount (ie. $10k, $15k, $25k monthly, etc. This would be in your plan document or you can obtain from the benefits department. Please feel free to send this information along later if you do not know what it is while completing this form. Each of the carriers, as well as Insuring Income, have extensive lists of potential discounts (program discounts for certain employers) that may be applied. We ask every carrier to research and quote any available discount. Do you plan to do a fellowship after residency is completed? Are there other individuals that are also looking for quotes from your employer, program, school, etc? If you have a total of 3 or more, please let us know because we can possibly get all of you additional discounts. Disability Insurance carriers will typically allow an additional discount if we establish a "multi-life" discount. The one thing that applicants would have in common is the same employer FEIN. Insert notes here about if your program is open to receiving quotes for everyone, if open to a webinar, or if you have friends or contacts that want quotes from us. 3+ policies from one program and we can activate some discounts potentially (if we do not already have them activated). Do you plan to own a Practice, to buy in as a Partner, or will you be thinking about a startup at any point in the next year or so? Are you self employed (or a business owner)? Do you plan to own a business in the next year or so? Approximate monthly Business Expenses during a period of disability? It is important to "match" the "right" disability product to the need. We will quote business overhead disability insurance with your individual quotes. The benefit from the individual policy is for you and your family. The benefit from the business insurance is to pay rent, utilities, payroll, etc. while you are out. Do you anticipate borrowing for your business for real estate transactions, equipment loans, working capital, for starting a business, or for debt consolidation within the next 3 years? Do you have a signed employment contract for after training is over? Would you like to connect with a Physician employment contract specialist from a company that we recommend? We simply make a connection for you to a great resource. An automated email will be sent to Jon Appino and you on submit. Jon is the owner of Contract Diagnostics. There is no fee to connect with them. We simply want to help. We also do not want you to be surprised when Jon replies to ask how he can help. Who are the Long Term Care Insurance quotes for? Who are the Critical Illness Insurance quotes for? Date of Birth for "Other"? State of residence for "Other"? Please feel free to attach anything that you believe we should review as part of putting proposals together for you. Submit your information and we will get back to you with personalized disability insurance quotes. We will not share any of your information with anyone. The information that you provide is the information that we need in order to quotes. Occasionally, additional information will be requested from you via email or phone so we can determine if there are any specific discount programs that we can apply in the quotes. We will prepare a side by side grid that shows all options for you. In addition to showing the options and pricing, you can also click the particular disability insurance definition or specific company provision and you will be able to read more information about it. No other tool on the web goes into as much detail as we do – at least we have never seen a tool that does what our tool does. Keep an eye out for it and let us know if you have question. You will also be able to start the application process immediately by clicking the “Get Started Now” button in any column in the grid. Disability Insurance and Term Life Insurance is what we do and we hope to help you to secure this critical insurance program. After requesting quotes, you will be directed to our Disability Insurance Quote Roll tool. This shows actual proposals that we have ran for other consumers. Feel free to do a search for your Occupation or to just navigate through manually. Click on the BLUE link next to any entry in the list and see even more details. If the proposals includes our side by side grid you will see a link on the right side of the column that points to it.